You've downloaded Shazam and Pandora from the iTunes App Store so you can listen to heart-pumping tunes while you work out, but that's only the beginning of what the iPhone can do—there are well over 1,000 health and fitness-related applications in the App Store. 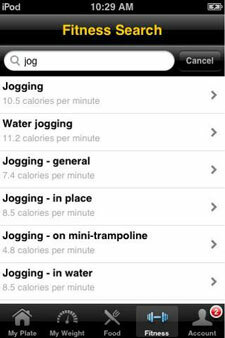 Check out this list of useful iPhone and iPod Touch applications that can help kick up the tempo in your workouts. When To Use: If you've ever arrived at the gym or laced up your sneakers and felt directionless, this is just the app you need. Consider it your own personal trainer, complete with seven different workouts focusing on your glutes, hips and thighs with a combination of high-intensity cardio and strength training. This is just one in a series of apps developed by SHAPE. When To Use: You should always be cognizant of how hard you're working out. 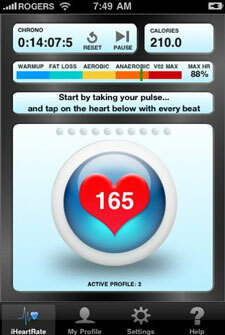 Use this to monitor your resting heart rate, anaerobic rate and even figure out your Body Mass Index. When To Use: This is a great tool for joggers, cyclist, and power walkers that want to track their training data, from calories burned to pace and total distance. There's no need to pay attention to mile markers because the app uses built-in GPS technology to figure out how much ground you're covering. 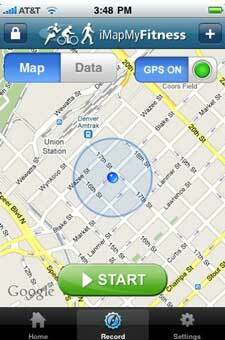 There are also apps developed specifically for walking, biking, running and hiking. When To Use: For those times when you forgo culinary control and are at the mercy of another chef, this application is integrated with technology from the The Daily Plate, so you can figure out the nutritional facts of what you're eating. It will also tell you how many calories you've burned by walking home from your dinner party. Also check out this new fitness app that just launched—miStrengthCoach. Designed by a top strength trainer—it really works!